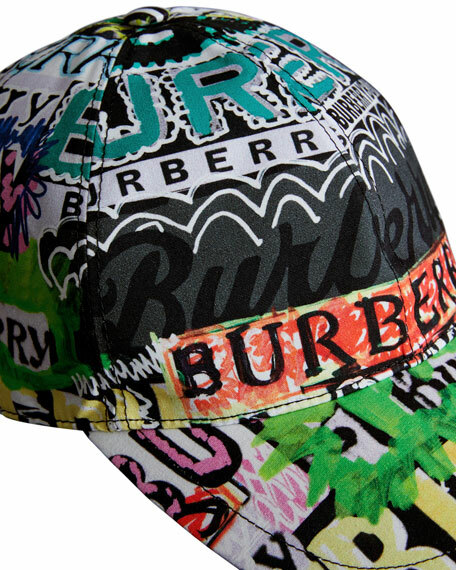 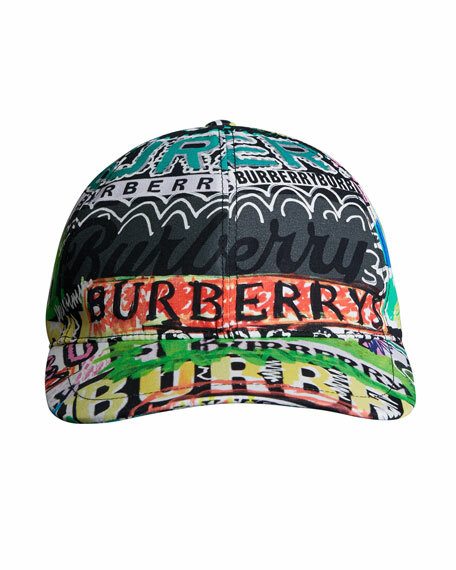 Burberry baseball cap features graffiti-style mix of archived logos. 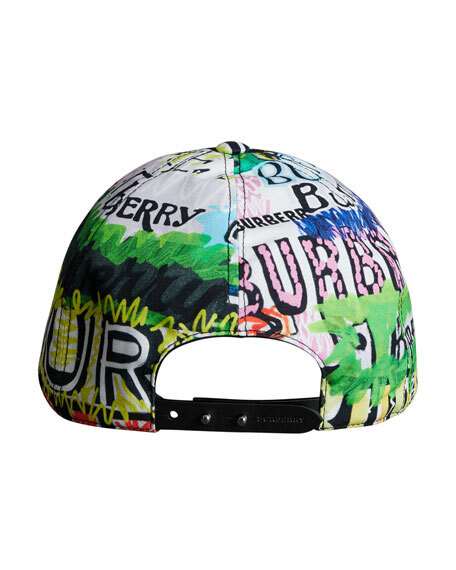 Adjustable leather strap at back. 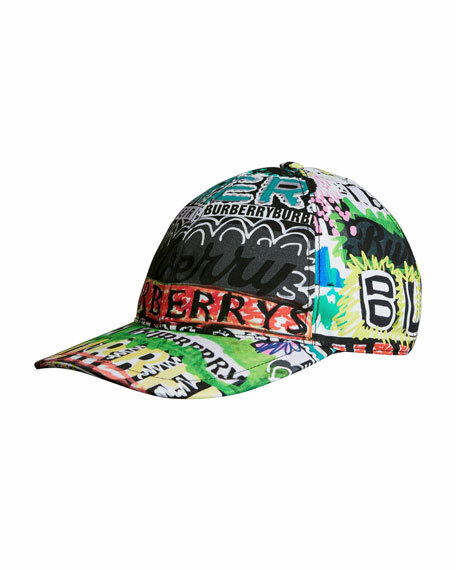 For in-store inquiries, use sku #2604055.